Just received some business cards I recently designed from the printers finally! They look pretty awesome if I do say so myself! 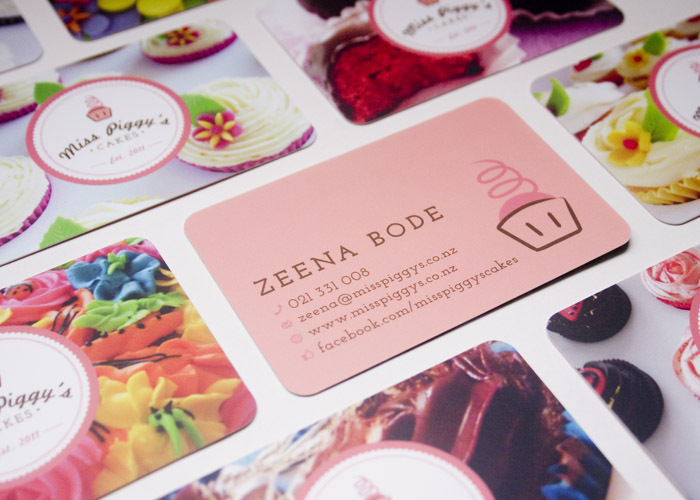 I designed the logo and a set of business cards for Miss Piggy's Cakes utilizing the images of her gorgeous cakes as well as Moo's printfinity ability to print up to 100 different images in one set!